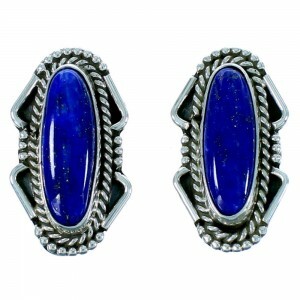 At SilverTribe, we carry a stunning selection of Native American earrings even if you don't want to pierce your ears. 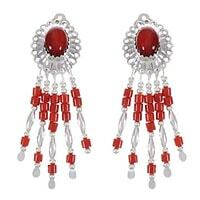 Every popular style of earring is represented in our catalog and can be found right here in our massive selection of clip-on earrings. 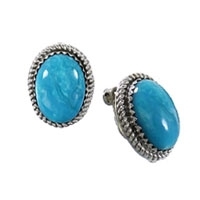 We stock a huge variety of traditional clip-on earrings that can range from the bold Navajo chandelier clip-on dangle earrings to the subtle yet gorgeous single stone turquoise clip-on earrings. 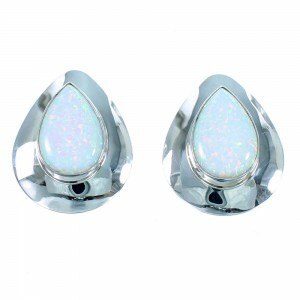 You don't have to sacrifice fashion just because you don't want to pierce your ears. 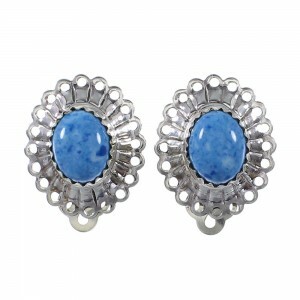 Our clip-on earrings are every bit as dazzling and well-made as the conventional varieties. 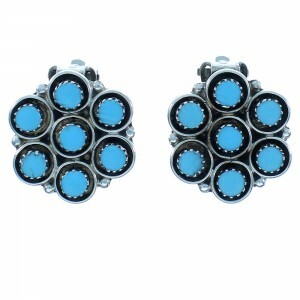 If you are looking for the perfect combination of quality and style, you have come to the right place. 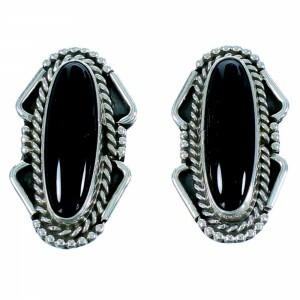 There is a broad and diverse range of styles that were usually reserved for those with pierced ears and now available to you from SilverTribe. 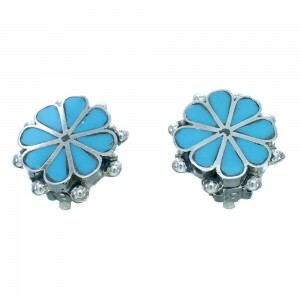 You're sure to find the perfect pair of traditional or contemporary clip-on earrings to suit your style. 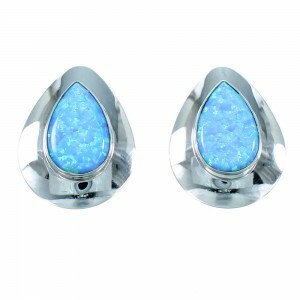 Our sterling silver teardrop clip-on earrings are a Southwest classic and we carry them with all sorts of different stones and even have beautiful multicolor inlay tear drop clip-on earrings that are a favorite among many of our customers. 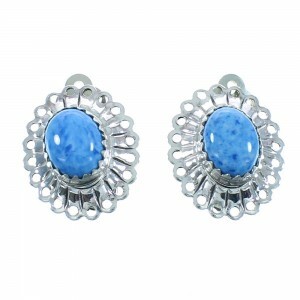 These earrings are very simply the same as any other pair of earrings except that they use a clip on the back to gently hug your ear instead of going through it, and these clips are easily incorporated into the design and construction of earrings of all styles. 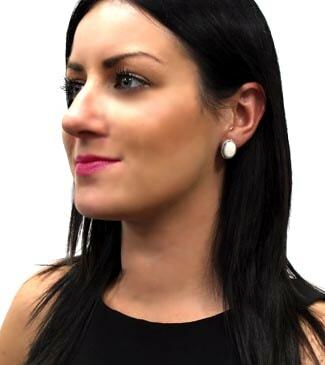 Our clip-on earrings are available in all sorts of colors and arrangements which make it easy to find the perfect clip-on earring to complete any outfit or be the perfect gift for a friend or loved one. SilverTribe's collection of clip-on earrings come in every configuration you could hope for with plenty of different stones available, such as our Native American charoite clip-on earrings, our Navajo pink opal clip-on dangle earrings, coral clip-on earrings, and of course our huge assortment of turquoise clip on earrings. 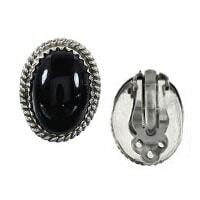 Besides our love of clip-on earrings with stones we also have a lovely assortment of sterling silver clip-on earrings and 14k gold clip-on earrings that come with all sorts of hand cut designs that are sure to appeal to the most discerning collector. 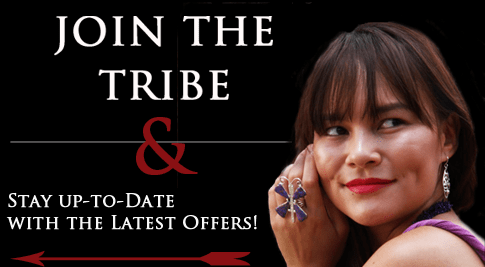 SilverTribe has a long and proud tradition of providing the best quality jewelry at the lowest prices anywhere; we have recourses for exceptional Native American clip-on earrings and southwestern clip-on earrings that no one else can match. 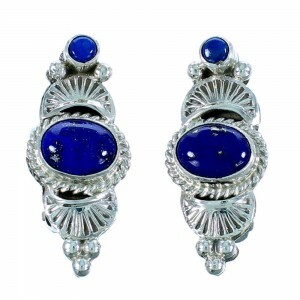 We work with the best silversmiths in the world to ensure that we have a premium product that is guaranteed to please, so for the best selection of sterling silver clip on stud earrings, Native American clip-on dangle earrings and everything in between come and shop with us. 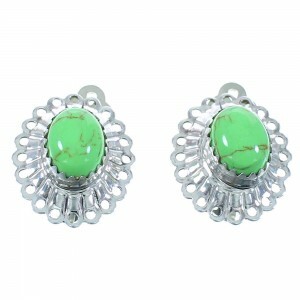 Our customers have access to the most stunning varieties of clip-on earrings featuring the most popular stones and designs available today. 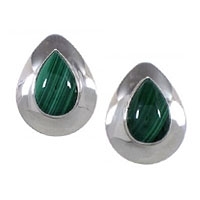 Browse our selection today and see why SilverTribe is the online leader in authentic clip-on earring designs.